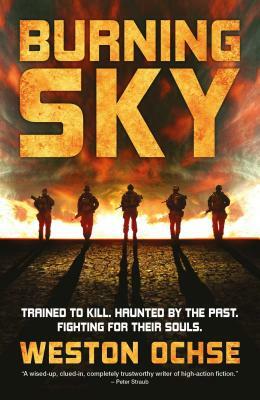 "Ochse's writing finds the beauty in the language of brutality, which will appeal to fans of Blood Meridian by Cormac McCarthy"
“Burning Sky represents the pinnacle of the military horror genre, and will be difficult, if not impossible, to surpass." "Burning Sky is masterpiece that I am more impressed with the longer I think about it. If you like your horror, political and thoughtful, I would say you should pre-order this novel. It will be on my best of the year list for sure." "Weston is one of the best authors of our generation." "Weston Ochse is to horror what Bradbury is to science fiction." "One of the major horror authors of the 21st Century."